The attractive parts of the programme that are organised in connection with exhibitions contribute to reaching a broad (and often new) public. The diverse and rich range of events offered is orientated towards specific target groups and the many activities ensure more public participation. The generation of extra publicity and content through the social media channels also plays an important role. In the field of developing and deepening talent, special activities are organised such as the Artist Talks, family programmes and guided tours. Read more about these activities in Educatie & Talentontwikkeling. The jury of the 21st edition of the VSB Poetry Prize 2015 assessed 107 collections of poems that had all appeared between 1 September 2013 and 31 August 2014. The nominees were Piet Gerbrandy, Sasja Janssen, Hester Knibbe, Alfred Schaffer and Peter Verhelst. 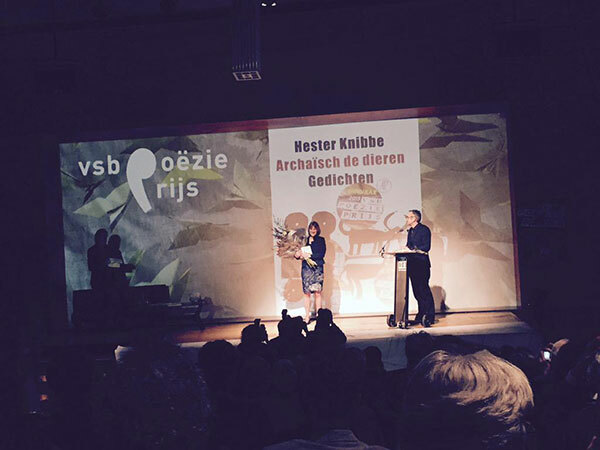 The Rotterdam poetess Hester Knibbe received the prize of € 25,000 and a glass work of art by Maria Roosen from the hands of the chair of the jury, Peter Vendermeersch, editor-in-chief of NRC Handelsblad. She was also given a special role during the Poetry International Festival Rotterdam in June 2015. On 6 February West Den Haag organised the debate (in English) ‘Me against Us’ in the Auditorium of the Kunsthal. 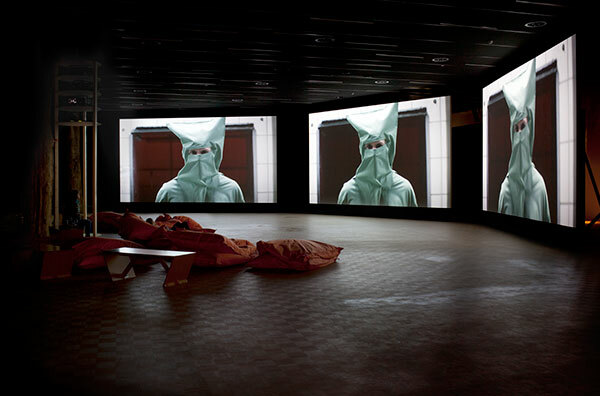 The debate was chaired by Lokaal director Liesbeth Levy in connection with the social criticism in the work of the video artist Bjørn Melhus. The participants in the debate were media expert Stefan Heidenreich, Manifesta director Hedwig Fijen, sociologist Pascal Gielen, philosopher Joost de Bloois, and artist Bjørn Melhus. The debate and the multi-channel installation ‘Me against Us’, organised by West Den Haag, added a further dimension to the Kunsthal’s own public and to that of Art Rotterdam and the International Film Festival Rotterdam. During Museum Night 010 2015 the Kunsthal was entirely given over to the opening of its Freaky Spring programme, from the absurd, moving installations of the Czech artist Krištof Kintera in the exhibition ‘Your Light is My Life’ to the intriguing ‘Furry’ series of portraits by the Belgian photographer Charlotte Lybeer in the exhibition ‘The furry adventures of the Cabbit and the Folf’. Also on show were the ironic and playful designs by the Dutch artist Piet Parra in the exhibition PARRA and the mural ‘Shadows of a downfall’ by Thera Clazing in the context of Kunsthal Light #10. The opening of the exhibition was followed by two live concerts in the Auditorium of the Kunsthal by Piet Parra’s band Le Le with Pepijn Lanen, and by the Czech band The Tchendos. The gigs alternated with a film on the work of Krištof Kintera in the Auditorium. The Kunsthal keyed into National Museum Week with a special weekend with performances, music and workshops for young and old. The activities organised during the Freaky Weekend included free mini-tours of the exhibitions, performances by Codarts circus students, a lecture by Charlotte Lybeer, and an Artist Talk with Kunsthal Light artist Thera Clazing. It was also possible to take part in a SKVR writing workshop inspired by the work of Krištof Kintera, to print a T-shirt à la Parra, and to juggle with guidance from Circus Rotjeknor. There was music by the instant composing duo Stephanie Francke and Friso van Wijk and the young singer/songwriter Tim Verhaal. The public could also enjoy Freaky Drinks and Freaky Food in the Kunsthal café. On Family Day during the Freaky Weekend, on Sunday 19 April, families were introduced to the remarkably accessible installations of Krištof Kintera. There were dance workshops for toddlers and infants, illustrator Marieke van Ditshuizen read from her book ‘My bath is flying’, and everyone could take part in theatre workshops or make his or her own colourful work of art à la Krištof Kintra with recycled material. Under the title ‘CJP Serves’, the CJP organises special events to make the current range of films and exhibitions accessible to young people. 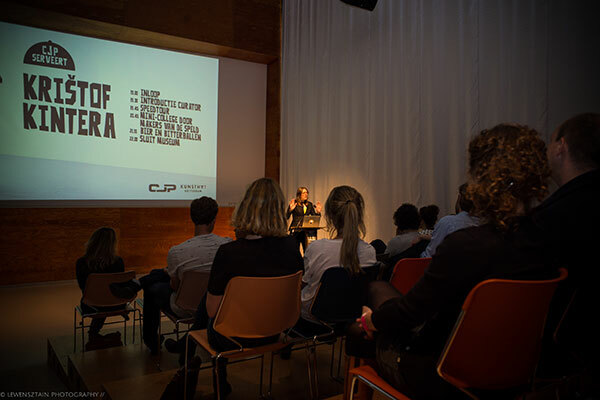 CJP Serves was held in the Kunsthal Rotterdam for the first time on 7 May. The evening centred on the large solo exhibition ‘Your Light is My Life’ by the Czech artist Krištof Kintera. Full of irony, with almost slapstick-like, sometimes dark humour, Kintera’s imaginative installations tackle politically charged themes. Participants in CJP Serves were plunged into Kintera’s world during a guided tour of these weird, moving works of art. Afterwards Melle and Jochem van den Berg (not a relative), founders of the satirical online news magazine De Speld, talked about their vision of society. Like Krištof Kintera, they play with the current situation to get people thinking. The Kunsthal Rotterdam presented itself to the many visitors to the Amsterdam Art Fair – in the Kunsthal Citroën of former Kunsthal director Wim van Krimpen – with work by Parra. There was also a preview of the large-scale autumn exhibition ‘Keith Haring. The Political Line’. 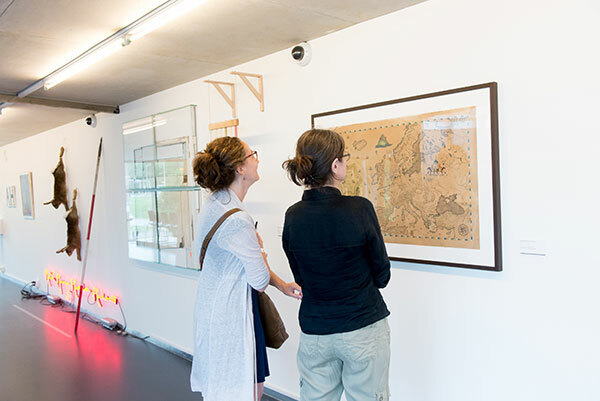 The 46th Poetry International Festival presented the Language & ART Gallery Tour from 7 to 13 June in collaboration with seventeen Rotterdam galleries and art institutions. Galleries scattered all over the city showed work by artists for whom language, the word or poetry is an important sources of inspiration or forms part of their work. Zigzagging through Rotterdam, there were language installations, paintings, illustrations, artists’ books and language experiments by both famous artists and up-and-coming talent. 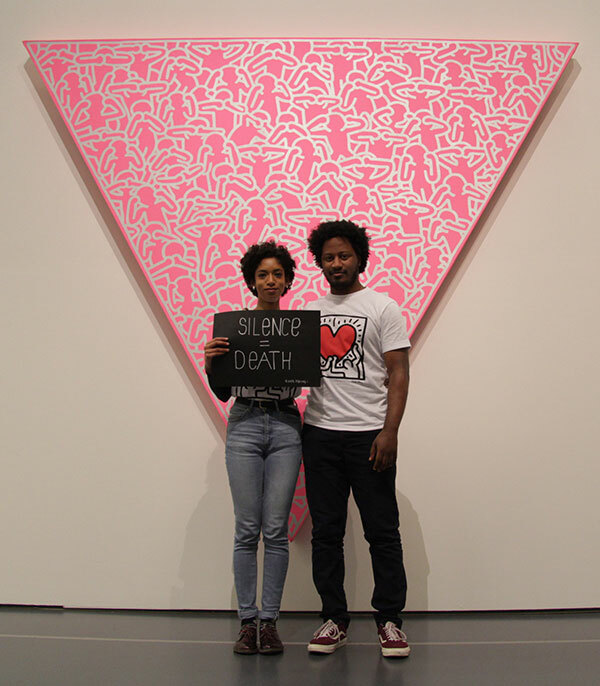 During the Language & ART Tour the Kunsthal Rotterdam presented a retrospective of works by artists who were exhibited in the galleries. do it (Kunsthal Rotterdam) opened on Saturday 4 July 2015 with a special event. 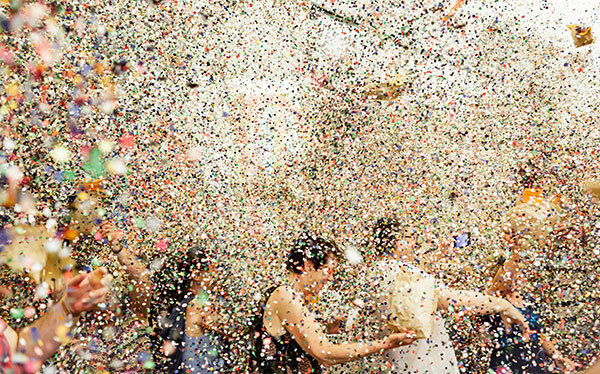 do it instructions from Amalia Pica’s Organise a party (2012) with 200 kg of confetti, Douglas Gordon’s Three steps heavenwards (1996) with tequila and champagne, and Cedric Price’s The gilded lily part II (2005) with peaches flambés were performed live in the presence of invited guests. The artists collective A World of BLISS did a performance based on Louise Bourgeois’ do it. OPEN Rotterdam recorded the performances, which were shown afterwards in the exhibition as video works. 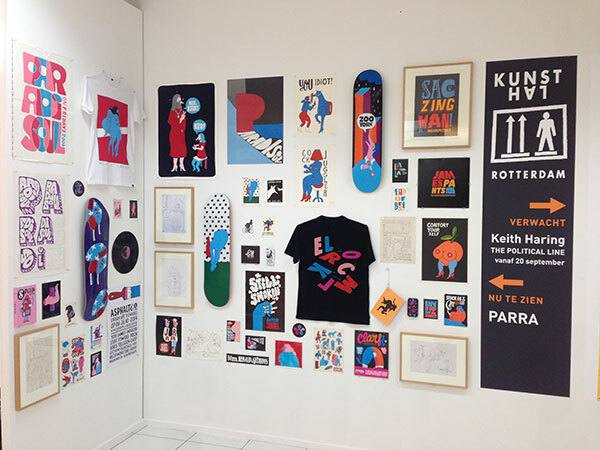 The Keith Haring Art Challenge was organised as a run-up to the exhibition. The competition challenged artists, graffiti and street artists, designers and cartoonists to make a design to serve as the starting point for a community art project, inspired by the artist Keith Haring and by the title of the exhibition. 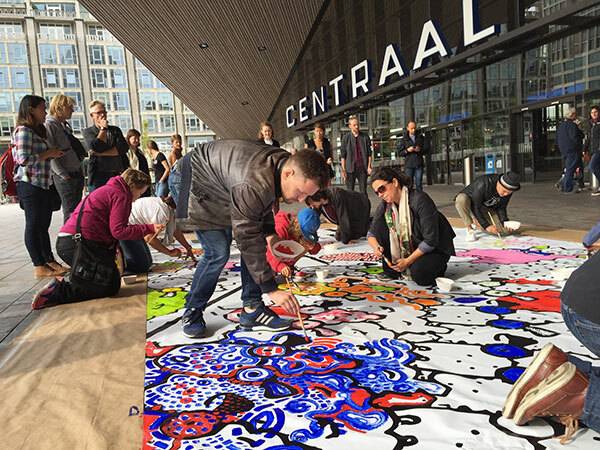 The winning works by Deimion van der Sloot, Arjan van Wijngaarden and Mark Dolk were completed during Lowlands (21, 22 and 23 August), 24 uur cultuur at Rotterdam Central Station (13 September) and the Keith Haring Weekend in the Kunsthal (10 and 11 October) in the form of a large-scale collaborative work of art. The architecture periodical OASE presented the latest issue on the first ten years of OMA (1978-1989) on 3 September. 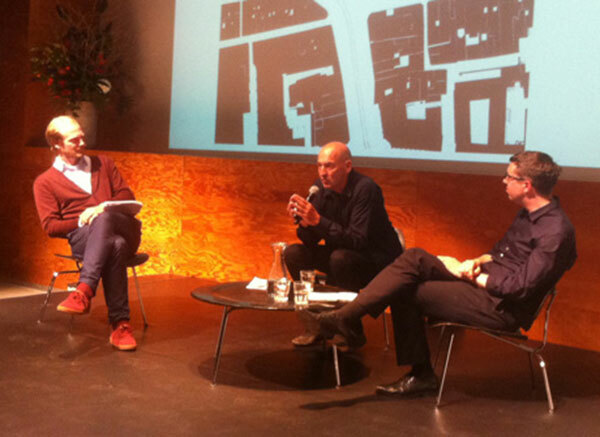 Christophe van Gerrewey and Job Floris interviewed Rem Koolhaas in the Kunsthal in an Auditorium that was packed to full capacity. In connection with the exhibition ‘Keith Haring. 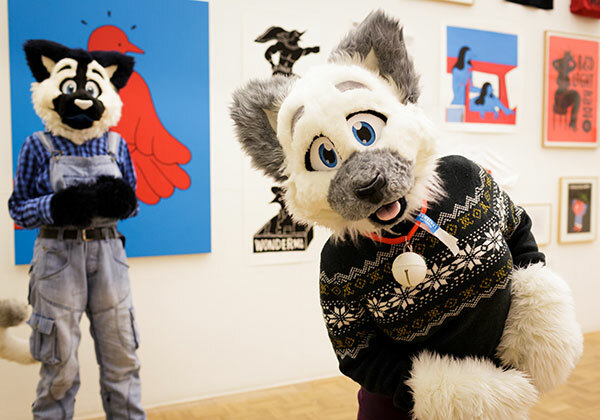 The Political Line’, the Kunsthal organised a lively weekend entirely devoted to a revival of the Eighties. It offered a complementary programme with special guided tours, lectures, workshops, music, street art, film, dance and Eighties fun. 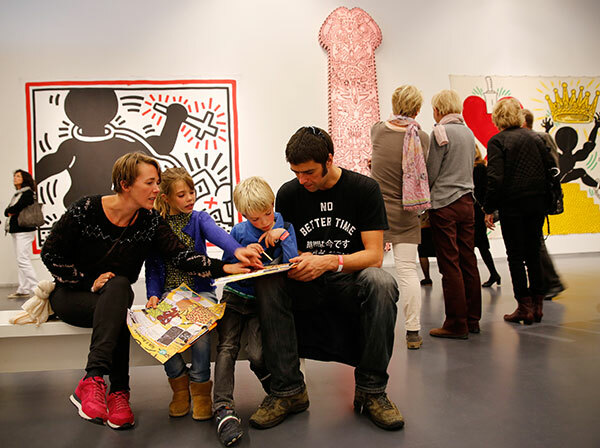 On Family Day 11 October, families took part in special family guided tours in which young people talked about their fascination with Keith Haring. Young breakdancers from the Hiphophuis gave workshops and demonstrations, there were art battles by the street artists Rewriters010, there was a Vogue demonstration by dancers from House of Vineyards, and DJ Git Hyper from DemonFuzz-Records provided the real Eighties sound. In consultation with the BankGiro Loterij, the BankGiro Loterij Open Days South Holland were held during the Keith Haring Weekend. Special workshops and tours were organised for participants in the BankGiro Loterij. 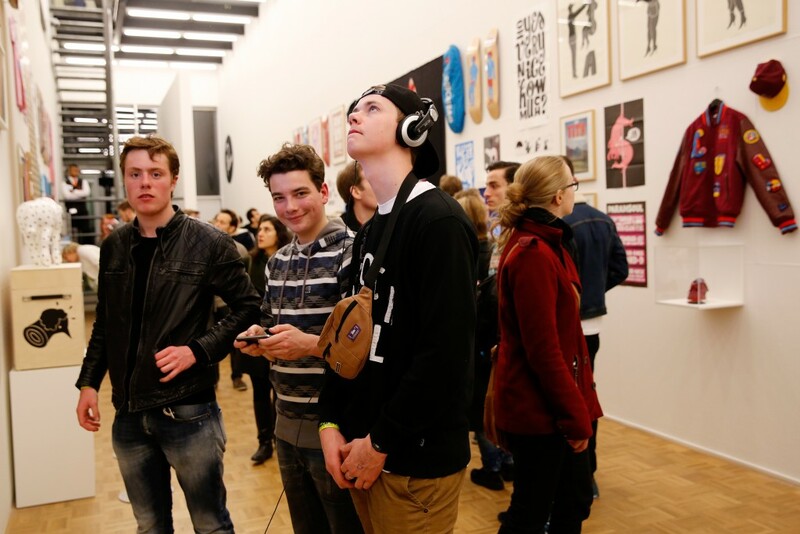 At the same time participants could take part during this weekend in activities in Het Nieuwe Instituut, Museum Boijmans Van Beuningen and the Netherlands Photo Museum. 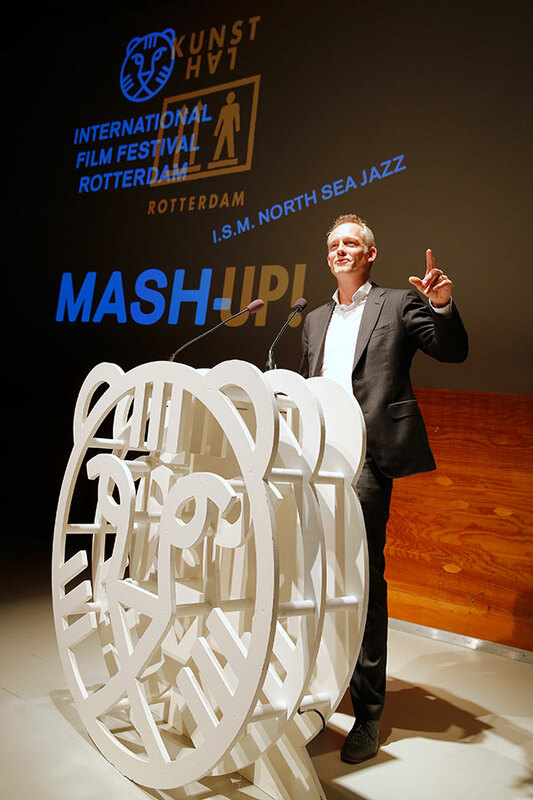 For the second time the Kunsthal Rotterdam joined the International Film Festival Rotterdam for one of the loudest combinations of the year: MASH-UP! On Friday 30 October, after a passionate talk on the importance of film by IFFR director Bero Beyer, a preview of Joachim Trier’s film ‘Louder than Bombs’ was screened. 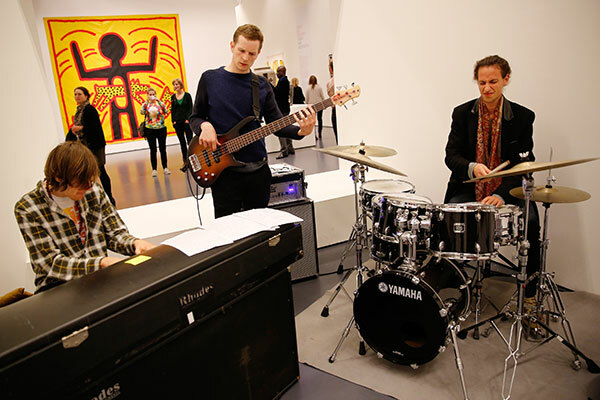 The North Sea Jazz Festival provided the music this year: the public could visit the Keith Haring exhibition until midnight with music by the Dominic J Marshall Trio between the works of art. DJs Phil Peoples and Thelonius brought the evening to a close during the party in the Kunsthal café. 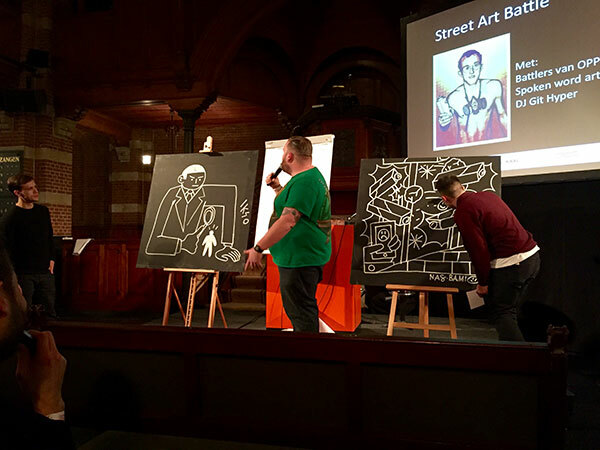 During the Debate Night 2015 in Arminius, the Kunsthal and OPPERCLAES organised street art battles in the spirit of Keith Haring. In pairs, six young artists competed with one another in 5-minute battles, reacting to themes inspired by the life and work of Keith Haring. 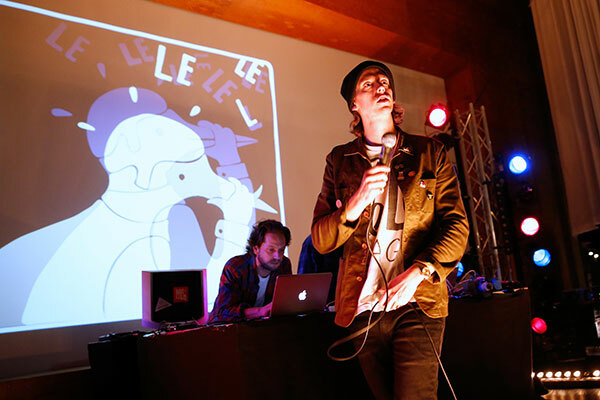 Spoken word artist Gino van Weenen wrote a text on the images on the spot, accompanied by DJ Git Hyper.